Sarah E. Stanton was born in Ithaca, NY and began her musical studies on the cello at the age of nine. Her first cello instructor, a grade school violin teacher, recognized her prodigious musical talent, and even agreed to travel to her home to give her private lessons. Later, he encouraged her to enter the Philadelphia String Ensemble contest for students aged 11-17. As the youngest competitor, she won first place, with the judges stating that she could become famous for her playing if she continued her studies. However, without the means or proper teachers to direct and nurture this gift, Sarah stopped playing the instrument shortly after the String Ensemble contest, consigning her cello to the basement, where it remained for 10 years. After completing her education in graduate studies in Engineering Physics and Medical School on the east coast, Sarah began her Medical residency program at USC & LAC Medical Center in Los Angeles, CA. It was at this time that the nagging desire to return to playing the cello caused her to contact the gifted cellist Alexander Zhiroff. However, throughout these continuing studies she felt that something was still missing, and the music she had been continually hearing in her own mind since childhood became louder and louder. Bored with much of the music she was studying, Sarah used some of the skills she acquired during these lessons and began to write her own music, first for solo cello and then for string quartet. When Alexander listened to her first composition, he inquired where she obtained it. Sarah shared with him that this is music she hears in her mind. Alexander informed her that this was quite unusual, and he encouraged her to continue writing down this music. One may wonder why it took so long for her to recognize this unusual ability, but in Sarah’s mind, hearing original music was normal, and was almost second nature, like breathing…. This conversation ultimately led to the release of a string quartet CD titled A Glimpse of Heaven in 2004, consisting of 15 short modern classical compositions. The following year, Sarah began to compose concertos for violin, piano and viola, two violins, and lastly, cello. During this time, a prime challenge she faced was learning how to score music for full orchestra. 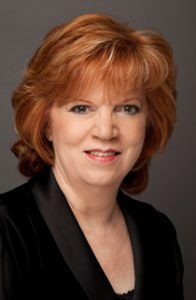 Through the helpful instruction of clarinetist and orchestrator Zinovy Goro and composer Kevin Kaska, she completed the violin concerto featured on this CD; it was ultimately recorded by the Los Angeles Jewish Symphony under the direction of Noreen Green on April 19, 2011. Kevin served as the producer and Zinovy took part in the orchestra. Sarah is currently working on other symphony compositions, as well as music that features individual instruments to be recorded in the near future. She balances composing with both her medical practice in San Diego, CA and spending time with family and friends. If you ask her what she enjoys more than anything else in life, however, her answer would be writing more music. 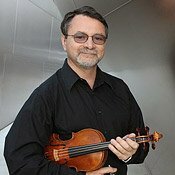 Mark Kashper is the Founding Concertmaster and featured soloist of the Los Angeles Jewish Symphony. A violinist since the age of five, Mr. Kashper graduated from the Moscow Conservatoire and the Leningrad Conservatoire. As an Assistant Concertmaster and soloist with the Moscow Conservatoire Chamber Orchestra, Mr. Kashper performed extensively throughout the Soviet Union, Europe and Latin America. Three months after moving to the United States in February 1978, Mr. Kashper joined the Los Angeles Philharmonic. In September 1979, he was promoted to the first violin section, progressed steadily through its ranks and was named the Orchestra’s Associate Principal Second Violinist in May 1986. He has also appeared as a soloist at the Hollywood Bowl and the Ojai Festival, as well as in many New Music Group and Chamber Music Series programs, collaborating with such distinguished musicians as Heinz Holliger, André Previn, Emanuel Ax and Yefim Bronfman. In September 2011, Mr. Kashper was chosen to participate in the concerts of the Super World Orchestra under the direction of Lorin Maazel. That ensemble was made up of principal players from many of the world’s greatest orchestras. 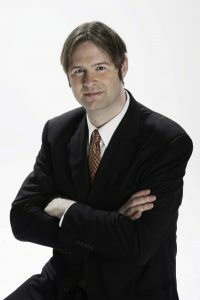 American composer, arranger, record producer, and conductor, Kevin Kaska is one of America’s leading young musical talents. His orchestral compositions, arrangements, and orchestrations have been played by over 50 symphony orchestras worldwide, including John Williams and Keith Lockhart with the Boston Pops Orchestra, Saint Louis Symphony, London Symphony Orchestra (five CDs), Royal Scottish National Orchestra (recorded on CD), New Zealand Symphony Orchestra (recorded on CD), Maynard Ferguson and his Big Bop Nouveau Band, Skitch Henderson and the New York Pops at Carnegie Hall, the Seattle Philharmonic, Port Angeles Symphony, Springfield Symphony, Berkshire Symphony, Cape Ann Symphony, Phoenix Symphony, New Mexico Symphony, Austin Symphony, Houston Symphony, Jacksonville Symphony, Columbus Symphony, Wichita Symphony, Long Beach Symphony, Modesto Symphony, Buffalo Symphony, Racine Symphony, Glens Falls Symphony, Fargo-Moorhead Symphony, Symphony Pro Musica, Orchestra X in Houston, Youngstown Symphony, Chamber Orchestra of Philadelphia, Cascade Symphony, Doctor's Orchestra of Houston, Los Angeles Jewish Symphony, Bavarian Philharmonic, Bach Collegium of Munich, Puertro Rico Philharmonic, Silicon Valley Symphony, Panama City Pops, Maryland Symphony Orchestra, and the Boston Metropolitan Orchestra. A top orchestrator for film composers, Kevin has worked with Hans Zimmer on orchestrating The Lone Ranger, Man of Steel, The Dark Knight 1 & 2, Sherlock Holmes 1 & 2, Angels and Demons, Madagascar 2 & 3, Rango, Megamind, Inception, Monsters vs. Aliens, the 2012 Oscars, and the mini-series The Pacific. In 2012 Kevin orchestrated music on the Academy Award winning film score Life of Pi.